Happy end of September! As with every single month, I can't believe it's over already and in true blogger spirit it's time for a monthly favourite. As I'm a little under the weather, this post is going to be a little short and sweet but enjoy and get ready for Blogtober - Strap in kiddos, here we go! 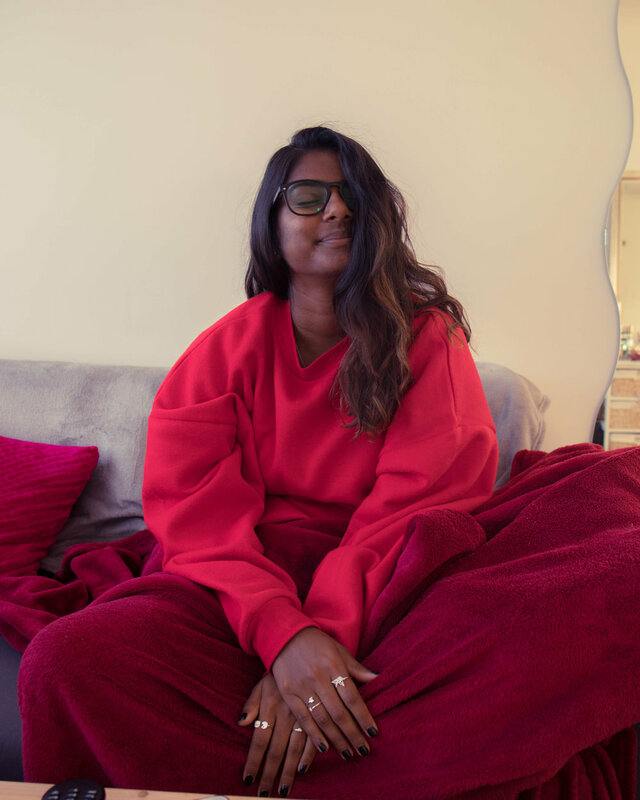 Okay so I am no fashion guru by any means, but my all time favourite outfit this month has got to be this red sweater and literally any bottoms. If you follow me on Instagram, you'll see that this sweater is literally in every post and for good reason! It's one of Primark's finest and I honestly bought it on a spur of the moment retail therapy shop, but haven't taken it off since! No.7’s mascara - HANDS DOWN. I've been using this mascara for years now but it's definitely been sneaking it's way onto my face more than any other product has this month. It gives me that little extra lift and volume, as well as that subtle lined look for days when I just can't be bothered to put eyeliner on. 10/10 will purchase again when this tube runs out! 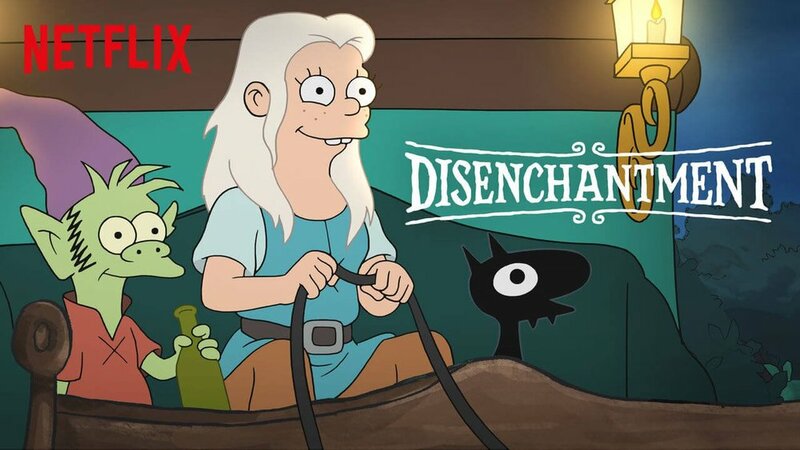 I love me some Netflix and this month George and I curled up together to watch Matt Groening’s Disenchantment and oh boy was it good… So good I almost considered getting a tattoo of Lucie… I'm not gonna! But he's a great character and if you haven't fallen in love with him yet, go and watch the show! I'm not a huge fan of the other stuff Groening has put out into the world but I'm glad Netflix seduced me into watching this fabulously hilarious and dramatic animated series. Bring on Season Two!! Legend of Zelda: Breath of the Wild has 100% been my go-to game for this month. I played more or less everyday for the first three weeks of the month and now that work has started I've had to put the controllers down, much to my dismay. I did literally play this game NON-STOP. I got it for my friend Cam as a mini-thank you for letting me stay with him back in June and he absolutely loved it when he played it. I don't know why it took me so long to get on this bandwagon but oh man am I glad that I'm finally on it. I love solving all the shrine puzzles and wandering around the world, which is not only beautiful but just the perfect amount of expansive. If you have a switch I totally recommend jumping on the bandwagon, and if you've already played let me know what your favourite bit about this game is! Rings! I got three rings from RTX London from the cutest little stall Harpy's Jewelry (cop her jewellery here!). My heart immediately jumped to the Pacman and arrow ring, and George loved the paper swan so picked that one up too. As my little heart ring is a staple of my accessories, I thought it was about time to bring a few new friends to the party. I'm not great at taking jewellery off so normally when it's on, they're on until they fall off. However these bad boys have been coming on and off depending on my mood, outfit, and how much time I have in the morning. Feels unusual to be accessorising like a normal person but this must be what growing up it. And that's all folks! What have you been loving this month? Leave me a comment, particularly if you have any TV series or video game recommendations because I would love to explore some new worlds.